It can be challenging to find the best bits for your wood router. There are a huge number of bit types to choose from and it can be easy to find yourself intimidated. You need to understand the different types of profiles they cut out and which projects each is better suited for before you decide to buy any. 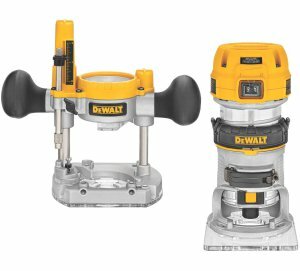 Here are a few tips on what to look for in the best router bits and a few reviews to help you start shopping. Made from tungsten carbide steel, the Hiltex 10100 Router Bits make accurate and clean cuts each and every time. With great heat resistance, you can use these bits to cut any type of wood. For extra durability, the other part of the bit is constructed with a hardened steel alloy. Enclosed with a bearing roller, each bit has a smooth and aligned operation with all of the bits features a ¼ inch universal shank to will fit easily and attach to any type of router. The Hiltex set comes in a wooden case that is labeled with the bit type and includes an image for easy portability and storage. For added durability, the Hiltex bits are powder coated giving them an added layer of protection so you can use them several times without worrying about compromising their quality. 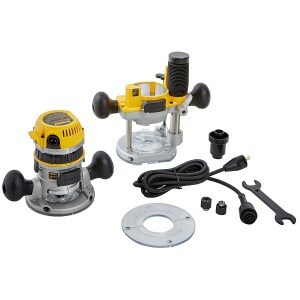 This set is great for grooving, veining, trimming, and edging and is perfect for DIYers or professional carpenters. Inexpensive and great for small projects. Good for beginners as a starter set. Nice and versatile with smooth operation. If you are using the bits to trim veneer, they will get gummed up. Don’t work well on large projects. Made from high-grade steel, the Dremel 6-Piece Router Bit Set is a great addition to any woodshop. This a great set for mortising, inlaying, and routing wood that works well on softwoods. Perfect for medium to light renovation, repair, and hobby jobs and guarantees that you have the right bit for the job. With durable steel construction, this high-speed router bit set is perfect for rotary tools and you get great versatility with the straight bits while the piloted edge bits allow you to add details and personality to molding and wood frames. With a user-friendly design, the high-quality construction of the bit set lets you make precision cuts the first time making it perfect for detailed work like model trains and dollhouse furniture. The Dremel insertion process gives you tons of shank for the chuck or collet to hold onto. For the most precision and longest life, make sure the object is secure on a stable surface while you work. You also get a plastic storage case that is reusable to store all your bits in. Bits rout really well in softer wood. Great deal for high-quality bits. Made of stainless steel and very sharp. Not good for harder wood like maple and oak. Perfect for beginners or professionals, the Stalwart’s Router Bit Set is available with fifteen different bits that each have a ¼ inch shaft bits so they fit any type of router. This is a great commercial quality set of bits for an affordable price. With durable construction, the Stalwart’s router bits have carbide tips that are made to last and use high-quality materials. The Stalwart’s Router Bit Set is great for setting tongue and groove wood doors like shaker doors. 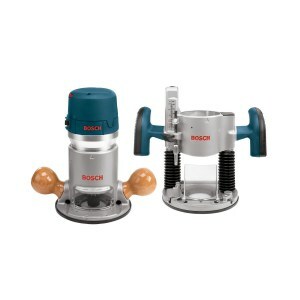 This is a multi-functional set that is good for a lot of uses including veining wood projects, grooving, trimming, edging, and woodworking. You also get an Allen wrench to remove bearings and a sturdy wooden case to store your bit set. Great price on a decent set. Bits are sharp enough to power through wood. Versatile set that you can use on lot of different projects. The case is not very good quality. Since the MLCS router bits are available in sets, they are a lot more affordable than buying them individually. Available in sets of 15, 30 or 66, you can get an entire set for a pretty low cost. These sets are good for beginners who don’t want to spend a lot of money on a bit set. Using carbide tips, the MLCS router bits provide less wear and vibration while retaining their strength and sharpness. You also get a lot of versatility with the different profiles these bits give you so you can work on a wide range of projects. When handled correctly, these bits can last you a long time. With MLCS router bits, you can use them to learn different cuts to help you get to the next level or to even start woodworking professionally. These bits work really well on soft woods giving you a flawless cut while they are just average on hardwoods providing a cut that requires a sander or edge to be trimmed. However, if you take care of the bits with proper maintenance and handling, these bits will work well on hardwoods as well. Works well as a starter kit. Good price on a set that performs well. Covers most of the basics pretty well. Would be nice if the box was labeled for each bit. Bits don’t stay sharp for very long. Known for great quality, unparalleled precision, and incredible cutting life, the Freud Router Bits are constructed with the highest quality materials. The Freud features a red Perma-SHIELD and Hi-Density Carbide coating. This tongue and groove set is adjustable so it can create tongue and groove joints that fit perfectly. With an exclusive design, the Freud includes a tongue cutter that uses opposing shear angles to guarantee a finish that is flawless. The bits are adjustable in .002-inch increments to give you a stock thickness of 1/2 to 1-1/4-inch and 7/32 to 3/8-inch groove widths. of 7/32 to 3/8-inch. These bits allow you to cut all kinds of materials including softwood, hardwoods, and plywood to make projects like a Shaker-style cabinet, plus you can use them on portable routers that are table-mounted. Makes smooth cuts and good shaper cutters. Makes clean joints that fit perfectly. Not great for those just starting out. Routers are one of the more versatile tools that you can have in your workshop allowing you to trim veneer and laminate and create decorative edges. There are literally hundreds of styles and sizes when it comes to router bit that can help makes these cuts but it can be hard figuring out which bits you should buy. The following are essential router bits for either a beginner or a professional. Straight-Cutting – Providing straight and square-bottomed grooves, you can purchase this bit in a range of diameters but is most common in a ¾, ½, and ¼ inch sizes. With this bit, you can cut grooves, dadoes, and rabbets. Rounding-Over – This is the correct bit when you want to shape an edge on a chair arm, tabletop, or shelf. Rounding over sharp edges, this bit is equipped with a ball-bearing pilot which will direct a cut’s width. You can change the cutting depth when you adjust the base of the router. These bits are available in a variety of sizes and are labeled by the cut’s radius. Most commonly, you will see rounding-over bits in 3/8 and ¼ inch sizes. Roman Ogee – One of the more popular bits that shapes edges, the Roman ogee bit cuts classic decorative detailing with its distinctive profile into an edge of a horizontal rail, vertical stile, picture frame, and tabletop. With a ball-bearing pilot fixed to the bit’s end, you can control the cut’s width. Most commonly, Roman ogee bits are found in 3/8 inch, ¼, and 5/32 inch sizes with the 1/4-inch bit able to serve most of your needs. Cove – The exact opposite of the rounding-over bit, the cove bit makes a concave radius in an edge instead of rounding it. Providing a decorative but simple edge that can enhance a bookshelf, cabinet door, and furniture leg, the cove bit is available from 1 to 1/6 inch radius sizes but the 3/8 and ¼ inch bits are the most common. Rabbeting – Creating a basic L-shaped notch cut on a board or panel edge, a rabbeting bit allows you to form a rabbet joint. Using a rabbeting bit is one of the easiest ways to cut a rabbet. Designated by the depth and width of cut created, the most common bits are ½ and 3/8 inch bits. You will see rabbet joints most often when building drawers for cabinets, installing cabinet backs or joining cabinet sides to the cabinet top. 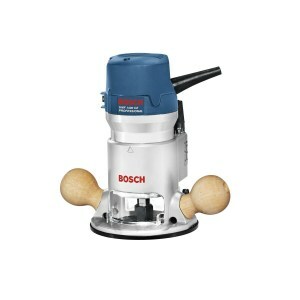 Flush-Trim – When working with wood or laminate veneer, you need a flush-trim router bit. This straight-cutting bit lets you trim surfaces the hangover even with the underlying layer. This bit is good for making drawer faces, cabinet doors, cabinets, tabletops, and plastic-laminate counters. It is also helpful when you need to flush-trim wood veneer. Although there are several sizes available, the most commonly used is the 1/2 inch diameter with a one-inch-long cutting flute. Chamfer – Cutting an angle at 45-degrees into the edges of panels and boards, the edge-shaping router bit is also known as a chamfer. Most often used to take out sharp, square corners from vertical posts, countertops, picture frames, and shelves, chamfer bits can also be used to make groves in a V-shape in between boards. Available in several different sizes, the most commonly used chamfer bit is the 1-1/4-inch diameter. 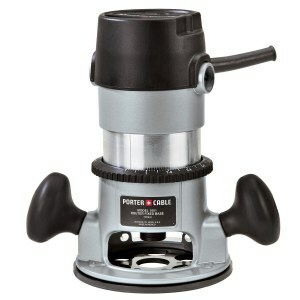 Core Box – The Core Box Bit is one of the non-piloted router bits that are good for cutting round-bottomed grooves. Commonly used for routing flutes in vertical stiles and columns, this bit is handy when carving wood platters and plates or routing a decorative groove in a door panel. Available in diameters from 1 ½ to 1/8 inches, the most commons sizes used are 3/8 and ¼ inch diameter bits. V-Groove – This bit can cut a decorative V-shaped groove in wall paneling, table legs, drawer faces, and cabinet doors. This is a non-piloted bit that is available in a wide range of V-groove angles and diameters with the ½ inch diameter bit with a ninety-degree cutting angle most commonly used bit. Slot-Cutting – Giving you a fast and precise way to cut grooves and narrow slots into the edges of drawer parts, picture frames, floorboards, and cabinet door frames. Perfect when you want to cut spline grooves for a spline joint, this bit features two “wings” that each has a sharp tungsten-carbide tooth. How thick the cutting teeth are will determine the width of the slot that can range from ¼ to 1/16 inches thick. The depth of the slot is dependent on the space from the cutting teeth to the ball-bearing pilot. Most commonly, you will see bits that are 1/4-inch wide and 1/2-inch deep. Keep in mind that many slot-cutting bits feature interchangeable pilots with different diameters that let you alter the depth of cut by switching it out ball-bearing pilots. The solid, cylindrical area of the router bit is called the shank. This is the part that goes into the router’s collet. You will find that there are two common sizes the ½ and ¼ inch shank. Most routers will have collets that are interchangeable so that either of the sizes will fit, but there are some that only use the ¼ inch shank. Try to always use bits that have a ½ inch shank since they give you more stability and less vibration. They also usually have a longer cutting life and give you a smoother cut. Typically, router bits are found in either of these shank diameters unless they have very large or very small profiles. Typically, you will find that most of the router bits have cutting edges with either carbide tips or high-speed steel fused to the bit. Profile bits usually are equipped with carbide cutters that are more durable than steel and hold the edge 10 to 25 times longer, however, they tend to be more brittle. Make sure you store and handle carbide-tipped bits carefully to prevent the cutters from chipping. When choosing router bits, look for high-quality router bits with carbide cutters that features a sharp to a fine edge and is thick enough to endure sever regrindings. You should also see even brazing joining the bit with the carbide tip and it should include a design that lessens the possibility of kickback. You will find that anti-kickback bit have a higher body mass to stop bits from catching on the material and biting too deeply. With the higher body mass, you will also see heat dissipating and it will keep the bit sharper longer. You can also tell the quality of the bit from its price. When choosing a bit, if you have a project in mind, make sure the bit matches the project. When putting together a starter set, buy a few straight bits, a few round-over bits, a rabbeting bit that has interchangeable bearing with different sizes, a chamfer bit, and an ogee bit. It is more economical and convenient to buy a whole set instead of buying the bits individually. Since a router is one of the most convenient and versatile power tools you can own, you need to make sure you have the right router bits to go along with it. With all the router bits on the market, it can be confusing to know which size and shape are the right ones for what you are working on. Make sure to do your homework and learn the difference between all of the bits that way when you hit the stores you will have a pretty good idea of which ones to buy. Some posts may contain affiliate links. WoodRouterSreviews.com is a participant in the Amazon Services LLC Associates Program, an affiliate advertising program designed to provide a means for sites to earn advertising fees by advertising and linking to amazon.com.